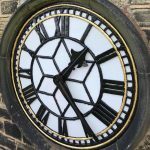 We were commissioned to create a bespoke clock for the University of Leeds Faculty of Engineering as part of their renovation in 2017. Our designer worked closely with the project design team and responded to their scheme and palette. 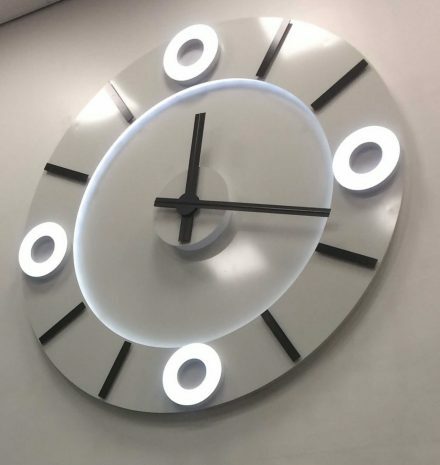 The raised illuminated ring markers on the clock responded to the main lighting featured on the ceiling. 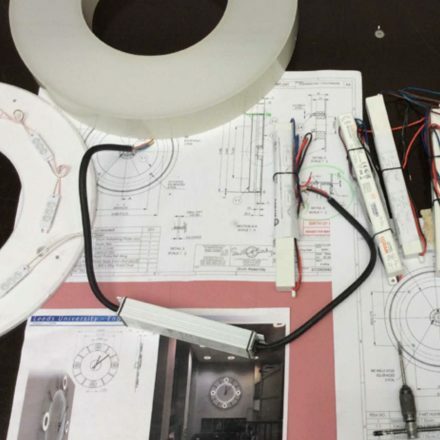 This design device helps to bring coherence to the whole refurbished building. 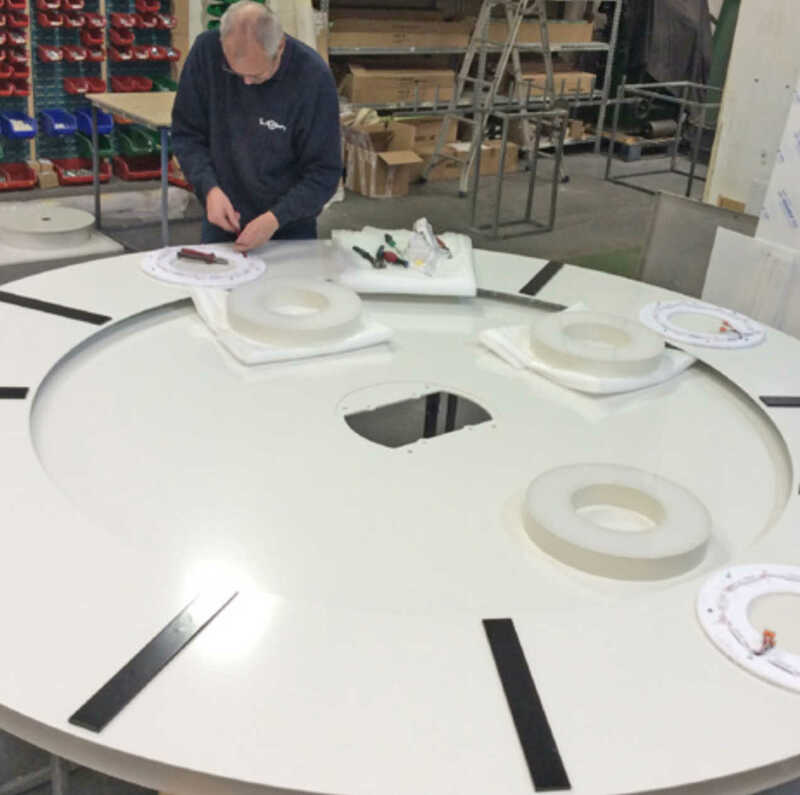 This 2.4 m diameter clock was created at our Derby workshop from high grade aluminium. With LED lighting, it is a low-maintenance feature that will keep accurate time for decades. 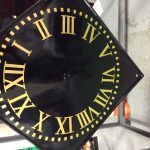 As the largest interior clock at the university, it has become a landmark for students and staff. Penelope Tiffney, Senior Interior Architectural Designer at the University of Leeds said ‘we are happy with the customer care we have received from Smith of Derby and they have been quick to respond to any queries that we have had along the design process and look forward to working with them in the future’.